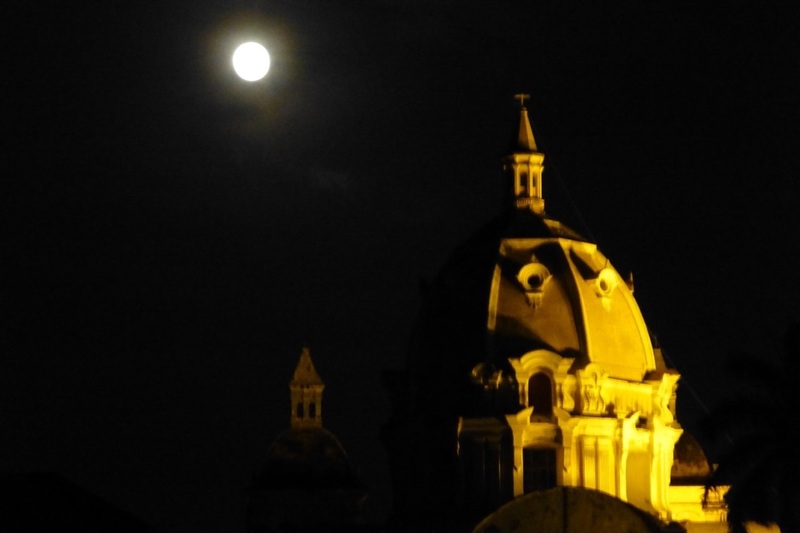 After Villa de Leyva, we all flew to Cartagena, whose old town is a Unesco World Heritage site for its well-preserved Murallas, or stone walls that were originally built in the 16th century to protect the city against marauders. Within the walls is a charming mix of narrow roads, vibrantly painted stone buildings in shades of azure, gold, and rose, and wooden balconies draped in bougainvillea. It’s a place pulsating with life—from the vendors pushing their wares to the myriad street performers dancing to a Caribbean tune. 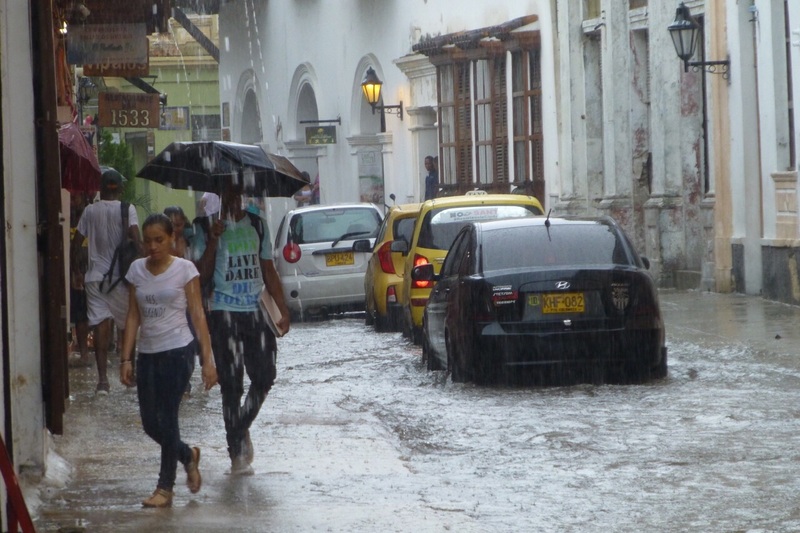 Up until our arrival, we had enjoyed the variable high-altitude weather that was alternately cool, warm, and dry—so stepping off the plane to Cartagena was like taking a huge belly flop into a hot bath. Our pace immediately slowed down to accommodate, with more activity in the morning and evening and siestas in the afternoon. As a result, we covered a lot less ground than in previous days, but it was the perfect pace for the weather. We strolled the old town, with its beautiful and aging colonial architecture; we lounged in coffee shops to avail ourselves of both coffee and air conditioning; were stranded in a Pan de Bono (Colombian cheese bread) shop while a torrential downpour raged outside; and visited the Inquisition museum where we did our level best to avoid the tour groups, whose members were obediently following their leaders and happily posed with their head in a guillotine. We continued our trend of eating amazing meals, with only one bad one so we could appreciate the contrast. 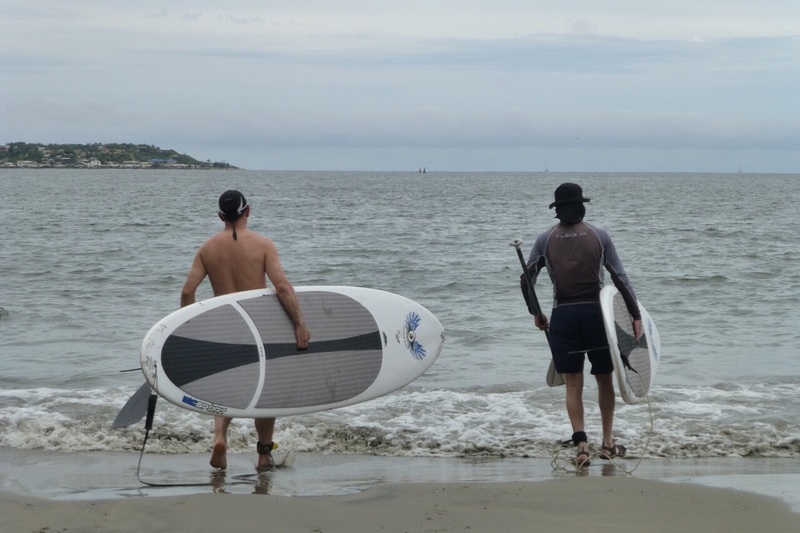 In a fit of productivity, Don and David even went paddle boarding while Jill and I watched from the beach, skeptical about the choppiness of the waves. 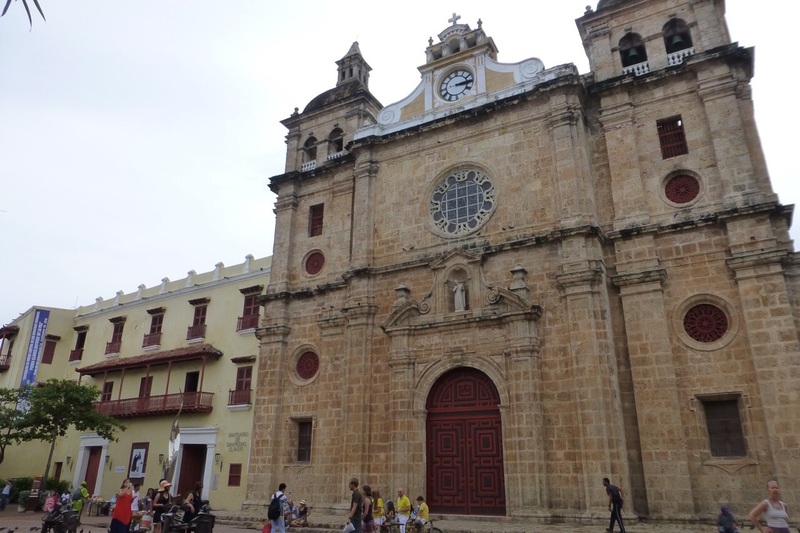 After over a week together, Cartagena is the point at which we had to part with Jill and Don so they could return to Bogota and get back to work. During this trip, we had so many lovely conversations and created a plethora of new memories to keep the old ones company. I felt sad to see them go, but also incredibly grateful for this time together, and for knowing that they are somewhere in this big world of ours. Some friendships come and go—they can be situational, occupational, or even just plain convenient. All of these relationships can be lovely for the time that they last, but there are a precious few that transcend time and physical space—that pick up where one left off and simply endure regardless of how life changes us. I am thankful that my friendship with Jill is one of these. Tomorrow, David and I head farther north to Santa Marta to embark upon our trek to La Ciudad Perdida, or the Lost City. There will be no wi-fi, so I won’t post again until our return. I am praying for cooler, less humid weather (and no bugs! ), which is to say I am certain I will be a mosquito pin cushion in a steamy sauna. Life is an adventure!